This visa was created for diplomats and officials to go to Canada on official duties and responsibilities. Within the Temporary Resident Visas of Canada, there is a specific visa that was created for diplomats and officials of foreign countries. This article will go through the relevant details on what this visa is, its requirements, and application process. What is a Canada Diplomatic and Official Visa? 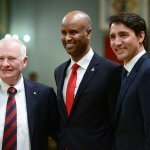 The Canada Diplomatic and Official Visa was created by the Canadian Government for these diplomats and officials to go to Canada on official duties and responsibilities. These diplomats and officials must be from a country that requires visas to go to Canada and who have a diplomatic or official passport. They are accredited diplomats, representatives, officers, or officials of a country of the United Nations or similar international agencies or organizations where Canada is a member. If you are a diplomat or official that is not in these situations, you will need a Diplomatic or Official Canada Visa even if you are from any of the countries that needs an Electronic Travel Authorization (eTA) to enter Canada for other purposes. With this visa, you will be able to enter Canada without going through a customs or immigration check at the Canadian port of entry. You will only have to go through a security check. After you enter Canada, you may only stay for the time that you have an itinerary of official duties or responsibilities. You are not allowed to overstay your visa or try to take up employment or studies in Canada. You cannot apply for a citizenship of Canada, apply to get Canadian issued documents, or seek Canadian benefits such as health coverage. You are only allowed to go through your official duties itinerary. If you want to visit Canada for purposes of tourism or other reasons, you must apply for a Canada Visitor Visa or another visa which fits your reason. Having a diplomatic or official passport does not immediately qualify you to enter Canada with the Diplomatic Visa, but you must have official duties in the country. What are the requirements of the Canada Diplomatic and Official Visa? There are multiple requirements to qualify for the Canada Diplomatic and Official Visa. The initial requirements must be your position within your foreign government. Different positions qualify for the Diplomatic Visa and for the Official Visa. You are a member of the family or household of a diplomatic agent or a senior officer of the Secretariat of ICAO. You are a private servant of a member of a diplomatic mission or consular post with a valid Household Domestic Worker Employment Agreement form which has been submitted by your employer who is a member of a diplomatic mission, consular post, or GAC Protocol. You are a person who is a member of the family of any of the officials. If you do not fulfill these requirements, then you will have to apply for either a Courtesy Visa or a different type of Temporary Canada Visa. If you are a U.S government official, then there are other rules which apply. Inspectors of the Federal Grain Inspection Service of the U.S Department of Agriculture or other U.S government officials who have a U.S official passport and have an assigned temporary posting in Canada. 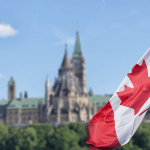 How to apply for the Canada Diplomatic and Official Visa? The application process for a Canadian Diplomatic and Official Visa is different from other Temporary Resident Visa applications. If you fulfill one of the requirements above, then you may submit a direct visa application to the Canadian Consulate or Embassy in your home country. With these documents, you must also pay the application fees. When you submit these documents, the official at the Canadian Embassy might ask you a few questions about the purpose of your visit to Canada and your official duties. However, you will not be asked to go through a medical examination or submit your biometric information. What are the Canada Diplomatic and Official Visa fees? To apply for the Canada Diplomatic and Official Visa you will only have to pay for the application. The application fee is CAD$100. Since you are exempt from biometrics, you will not have to pay the fee and you are also exempt from the passport processing fee. 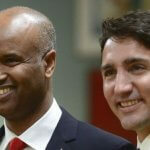 How long is the Canada Diplomatic and Official Visa valid? This visa is usually given for the time period that the person has official duties in Canada. However, in general, the Diplomatic and Official Visa is valid for 3 months once you enter Canada. 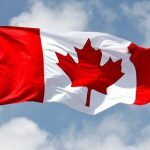 Can I bring my dependents to Canada with a Diplomatic and Official Visa? If you have a Canada Diplomatic and Official Visa, you are allowed to bring your dependents with you to the country to accompany you for the trip. You are allowed to bring your spouse or common law partner and your children who are under 22 years old. If your children are over 22 years old, then they may accompany you only if they are full-time students. However, if your child is over 25 years old, they cannot accompany you with your status, but must apply for a Canada Visitor Visa.